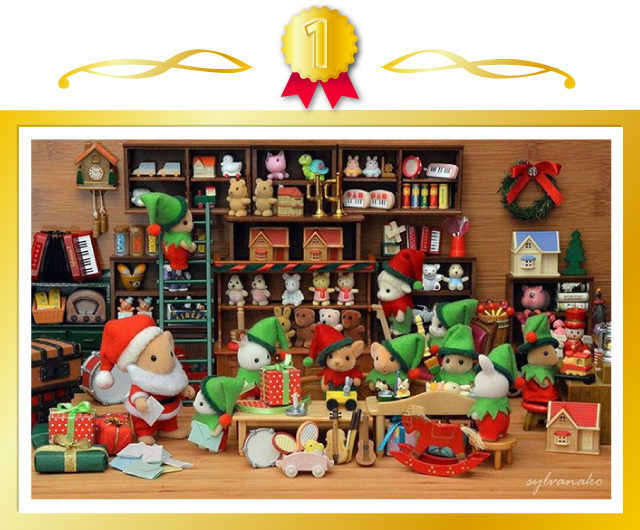 Sylvanian Families Photo Contest | Announcing the winners! We would like to thank everyone for their wonderful posts. The letters keep coming and the little elves have a lot of work to do!Have you sent your letter to Santa yet? All the little elves costumes are so cute, and those gifts on the shelf are wonderful also!Can’t wait to get a present from Santa! The cakes look so delicious. Let's share the great time with everyone! Mrs Beaver took the little ones for the first Christmas shop. All the stores look wonderful in the snow! We can see the babies are excited for the Christmas shopping.Their winter clothes are very cute as well!